Year of the Labbit: Buns on Bikes! There's a reason why this little green labbit was found eating lots of...protein...when he arrived at the warren in southern Vermont. It's because he's trying to take care of his lean, green, biking physique. 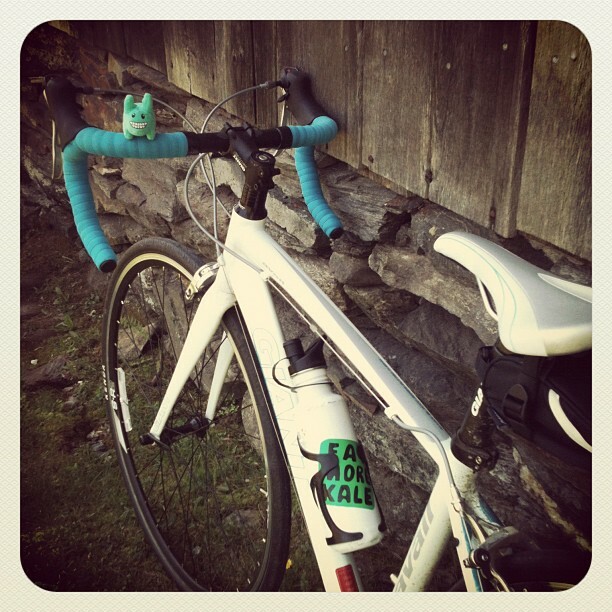 His name's Masher McBuns, and he believes Buns (both human and labbit) Belong on Bikes. 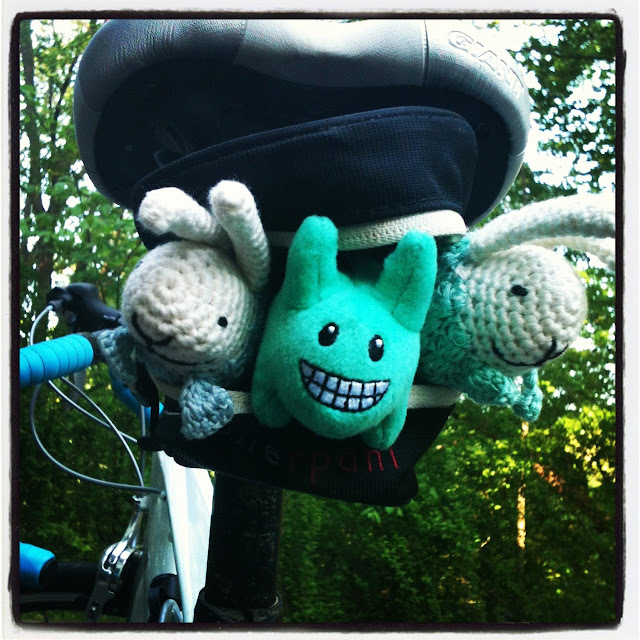 Today on his long weekend ride, he came across these two bunnyfish. They'd had a long time of travelling so Masher zipped them into the saddle bag and invited them back to the warren. Looks like we'll be hearing about their tales of adventures, too!